When I read Twilight in 2008, I had no idea how my life would change. I picked the book up after I broke up with my long term boyfriend; I needed a distraction and I’d always been partial to young adult fiction. The selection process was two-fold: I’d started to hear whispers about Twilight on the Internet – mainly due to casting news surrounding the film – and because I thought the cover was pretty. In typical Alice fashion, I was drawn to the beautiful imagery of a pair of alabaster hands cupping a luscious-looking apple. I’ve always been a magpie, completely enamored with shiny or beautiful things. I tore through Twilight like a madwoman, obsessed with every word Stephenie Meyer had written. Emotionally, it was exactly what I needed – to be reading through the eyes of a protagonist who was so dearly loved at a time when I felt so alone. I remember stumbling out into a snow storm in order to purchase New Moon and Eclipse – this was before Breaking Dawn had been published – because I couldn’t stand not knowing what came next in Bella’s story. Except, to me, it wasn’t just Bella’s story. In a small, energetic pixie named Alice, I saw myself, which made me feel more at home with Twilight – and its fandom – than I ever had before with a work of fiction. When I recommended Twilight to friends, they all offered a common thread of observation when they were finished: “Vik, when I read Twilight, I pictured Alice as you.” I won’t lie: that bit of validation inspired me to begin cosplaying as Alice. Cosplaying was already a hobby that I’d enjoyed for several years, but being able to marry it with Twilight was especially satisfying. I spent hours poring over photos of Alice in order to reconstruct her look. I visited clothing websites, eBay, wig retailers; I researched jewellers and makers of accessories; I haunted vintage stories and consignment shops. If I was going to cosplay Alice, I was going to do it correctly. And, with time – and hundreds of dollars later – I managed to assemble quite the wardrobe of screen accurate Alice clothing, wigs, accessories and contact lenses. Her style was so similar to mine that, apart from the wigs and contact lenses, it felt like more of an investment into a higher quality wardrobe than anything else. I cosplayed Alice unofficially at various conventions in Toronto and started my blog as a means to connect with other Alice fans. Just prior to starting the blog, I met Christilynn of Inside Bella’s Closet, and we became fast friends. 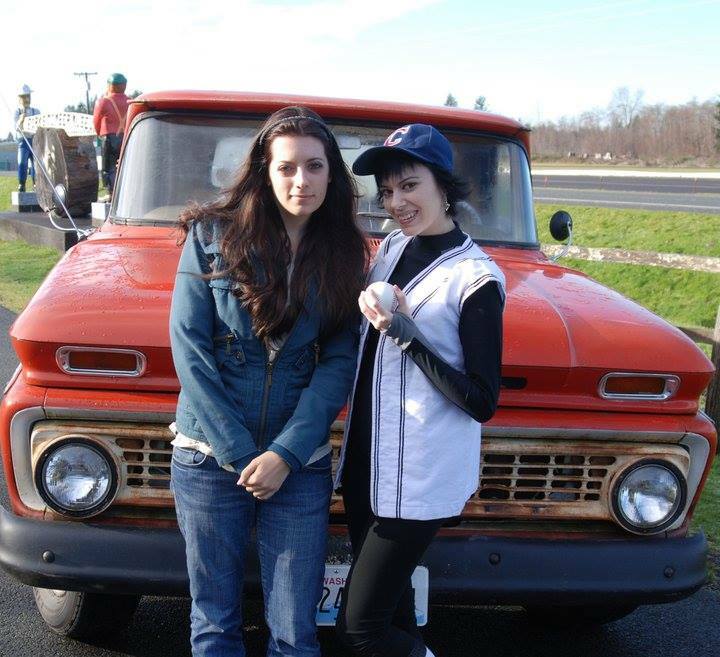 After months of talking online, we decided to take a trip to Forks together in December 2010. Despite never having met in person, we bonded instantly upon meeting at the airport in Seattle. To this day, she’s one of my greatest friends – a true blessing in my life. Through Christilynn I was introduced to Staci Chastain, a local businesswoman in Forks who was going to be taking over the planning of Stephenie Meyer Day in 2011. We walked into Staci’s shop, “Alice’s Closet,” during our trip – and when we left, we had been recruited to portray Alice and Bella for the event. To hear Staci tell it, we were Alice and Bella in the flesh, and meeting us was an experience she wanted to share with fans. Staci is another friend I would consider to be a blessing. We talk every day – about anything and everything – and without her, I wouldn’t know so many of the amazing people in my life. Unfortunately, I wasn’t able to make it to Stephenie Meyer Day until 2013 – but once I did, my hobby of portraying Alice really took off. Stephenie Meyer herself attended the event that year, and she praised my portrayal of Alice and my dedication to the character. I was invited back to Stephenie Meyer Day in 2014, and I’m proud to say that I’ll be returning to the event – which is now called Forever Twilight in Forks – in 2015 as well. I’ve also appeared at two events in Gatlinburg, Tennessee: Mystic Falls at Twilight Girls Getaway and The Cullens’ Winter Escape. The people I’ve met through Twilight and the wonderful places I’ve traveled to wouldn’t have been possible without Alice Cullen. 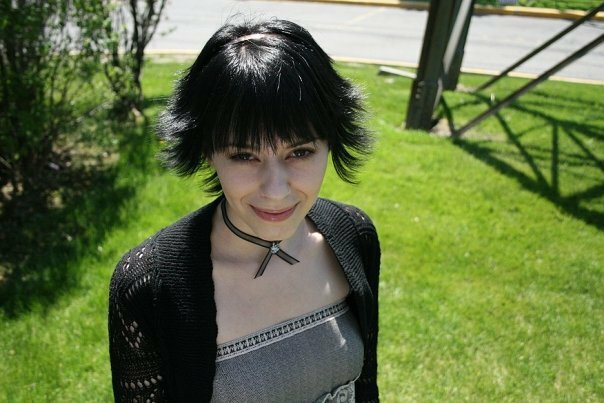 Every event calls for an entire weekend of bringing Alice Cullen to life for fellow Twilight fans – and knowing how to walk a fine line between interacting with them as the character and interacting with them as myself. It required a set of acting and improvisational skills I didn’t realize I had until the first time I did it. I remember being so nervous at the very first event I appeared at: a meet and greet at Stephenie Meyer Day 2013. My palms were sweating; I’m sure Josh Goff, who played Jasper Hale, was completely disgusted as he held my hand. But as I approached the first fan with a bubbly, “Hi! I’m Alice Cullen!” I began to relax. It wasn’t hard or scary, pretending to be Alice; it was fun. So what does that have to do with The Storytellers: The New Voices of The Twilight Saga? When I first learned about the contest, I was incredibly excited. Here was an opportunity for women in film – and Twilight fans! – to uniquely make their mark on the Twilight universe. And maybe it was my opportunity, as a professional Alice Cullen character actor, to make my mark as well. Here was a chance to share my love for Twilight, its fandom, and my favourite character on a much broader scale. Here was a chance to demonstrate how much I understand Alice and pay homage to the wonderful opportunities she’s given me. In talking to prospective directors for The Storytellers: The New Voices of The Twilight Saga, they all wanted to see video of me as Alice – and rightfully so. Unfortunately, there’s very little video taken at Stephenie Meyer Day or the other events I’ve attended; people take an abundance of photos, but that’s about it. So, if I wanted to create an accurate portrayal of myself as Alice, I would have to get creative – and, after years of attempting to conceptualize YouTube videos for Alice, that’s how “Dear Bella” was born. I needed a reason for Alice to be speaking directly to a camera in a low-budget set up, and that’s how I settled on the video diary concept. In order to flex my “Alice” muscles, I decided to completely improvise every episode and attempt to do each video in one take. Somehow, writing a script felt inorganic compared to the improv required at the events I’d worked for. I’m proud of the results so far. I released Dear Bella #2 on YouTube yesterday – click the image below to view the video – and I’ve received incredibly good feedback. So while these videos may not actually earn me a role in a Storytellers production – unlike Alice, I can’t actually see the future – I’m having a lot of fun making them in the process. Is my portrayal of Alice perfect? Of course not! But it’s Alice as I see her, and being creative within the realm of Twilight reminds me why I fell in love with this fandom in the first place. This is the best fandom is the world – and I’m lucky that it’s given me the freedom to be one frightening little monster. You so are Alice Cullen! I saw your videos for dear Bella and you really are completely believable as her 🙂 plus you are very pretty with a likable demeanor ❤ You are a joy to twilight fans!